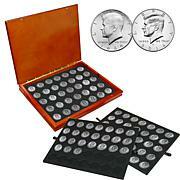 Get ready to strike silver with these spectacular Kennedys. 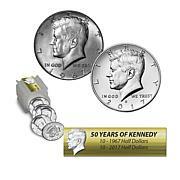 This collection includes random P- and D-Mint silver Kennedy half dollars from the last decade they were minted in 40% silver. They come in an acrylic roll with a storage pouch ... all set to take up residence in your collection. The coins are definitely brilliant uncirculated. Very nice, exactly as described and well packaged for shipping. They are bright and shiny, years 1967 and 1968. 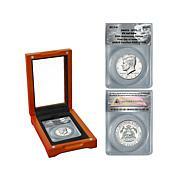 90% Silver for a decent price: $169.00. No surprises. 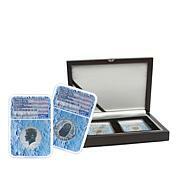 I purchased as a silver speculator, not as a collector.